Celia Pacquola has cemented her position as one of the most in-demand comedians both in Australia and the UK, charming audiences and critics alike. Celia has won numerous awards in comedy and acting, including the Amused Moose Laughter Award at 2014 Edinburgh Fringe Festival and two nominations for the Barry Award at the Melbourne International Comedy Festival for Best Show. She has also performed at the renowned Montreal Just for Laughs Festival and on the BBC’s Live At The Apollo, and recorded her own stand up special The Looking Glass as part of the One Night Stan series. In 2016, Celia became the youngest woman to host the Oxfam Gala for the Melbourne International Comedy Festival/Network Ten. Celia is also a talented actor, winning the Best Supporting Actress AACTA for her role as Dolly Faraday in the acclaimed ABC1 drama The Beautiful Lie. She has also starring in the AACTA award-winning Laid, Logie Award winning drama Offspring and in Working Dog’s series Utopia, for which she won an AACTA Award in 2015. Her wit and jokes will be familiar from guest appearances on Spicks and Specks, The Project, Have You Been Paying Attention? and more. Internationally, Celia has been a guest on Never Mind The Buzzcocks, Chelsea Lately and The Rob Brydon Show. 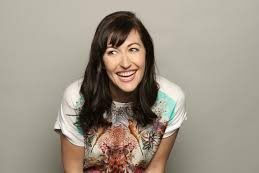 In 2016 Celia co-created, co-wrote and starred in the smash hit sitcom Rosehaven with Luke McGregor for ABC-TV, for which she won the 2017 Best Performance in a Television Comedy at the AACTAs. Season three of Rosehaven has recently completed filming and will return to the ABC next year. In 2018, Celia made her feature film debut in the smash hit NZ film The Breaker Upperers, created by Madeline Sami and Jackie van Beek and produced by Taika Waititi. She also returned to the stage with a brand-new show All Talk, selling out theatres across Australia and winning the 2018 Helpmann Award for Best Comedy Performer.